Libertus, K., & Violi, D. A. (2016). Sit to talk: Relation between motor skills and language development in infancy. Frontiers in Psychology. Libertus, K., Greif, M. L., Needham, A., & Pelphrey, K. A. (2016). Infants’ observation of tool-use events over the first year of life. Journal of Experimental Child Psychology, 152, 123-135. Libertus, K., Joh, A. S., & Needham, A. W. (2015). Motor training at 3 months affects object exploration 12 months later. Developmental Science. Libertus, K., Marschik, P. B., Einspieler, C., & Bölte, S. (2015). Frühe Auffälligkeiten bei Autismus Spektrum Störungen. In S. Sachse (Ed. ), Handbuch Sprachentwicklung und Sprachentwicklungsstörung: Band 3 Frühe Kindheit: Elsevier. Libertus, K., & Needham, A. (2014). Encouragement is nothing without control: Factors influencing the development of reaching and face preference. Journal of Motor Learning and Development, 2(1), 12-27. Libertus, K., & Landa, R. J. (2014). Scaffolded reaching experiences encourage grasping activity in infants at high risk for autism. Frontiers in Psychology, 5(1071). Libertus, K., Shepard, K. A., Ross, S. W., & Landa, R. J. (2014). Limited fine motor and grasping skills in 6-month-old infants at high risk for autism. Child Development. Libertus, K., Gibson, J.N., Hidayatallah, N.Z., Hirtle, J., Needham, A., Adcock, R.A. (2013). Size Matters: How Age and Reaching Experiences Shape Infants' Preferences for Different Sized Objects. Infant Behavior and Development, 36, 189-198. Needham, A., & Libertus, K. (2011). Embodiment in Early Development. Wiley Interdisciplinary Reviews: Cognitive Science, 2, 117-123. Libertus, K., Needham, A. (2011). Reaching Experience Increases Face Preference in 3-month-old infants. Developmental Science, 14(6), 1355-1364. Needham, A., & Libertus, K. (2008). Neonativism. In M. M. Haith & J. B. Benson (Eds. ), Encyclopedia of Infant and Early Childhood Development (Vol. 2, pp. 406-414). San Diego: Academic Press. Onat, S., Libertus, K., & König, P. (2007). Integrating audiovisual information for the control of overt attention. Journal of Vision, 7(10), 1-16. Brannon, E. M., Suanda, S., & Libertus, K. (2007). Temporal discrimination increases in precision over development and parallels the development of numerosity discrimination. Developmental Science, 10(6), 770-777. Klaus Libertus, Research Assistant Professor, Department of Psychology, and LRDC Center Associate, and Petra Hauf, Dean of Science, St. Francis Xavier University, Nova Scotia, have made it into the final round for a $100,000 Spotlight Award for their work “Motor Skills and Their Foundational Role for Perceptual, social, and Cognitive Development. 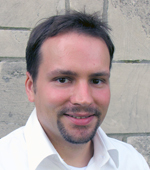 Research Associate Klaus Libertus received the 2016 Innovation in Autism Research Award from the International Society for Autism Research (INSAR) for his study on the relation between sitting and language skills and the application of this research to infants at high risk for Autism. Klaus Libertus' study "Can 'Sticky Mittens' Jump-Start a Baby's Brain?" was published in the journal Frontiers in Psychology. Klaus Libertus' paper "Can 'Sticky Mittens' Jump-Start a Baby’s Brain," published in Frontiers in Psychology was covered by the Autism Science Foundation on their weekly podcast. Klaus Libertus's research on autism was used in the Pittsburgh Post-Gazette article "Study Shows Hope in Helping Infants Fend Off Autism."